We invite you to join us for our 10th Annual California Sleep Society Educational Symposium, September 22 – 23, 2017. We will be holding the Symposium at the Embassy Suites by Hilton San Francisco Airport Waterfront in Burlingame, CA. As usual, we have an incredible line-up of speakers, an advanced tech training session, and some fun extra-curricular events! Early registration ends May 31st – don’t wait! Interested in Speaking at the 10th Annual Symposium? We would appreciate hearing from you! Please complete the form in the link below. Once complete, we will be in contact. 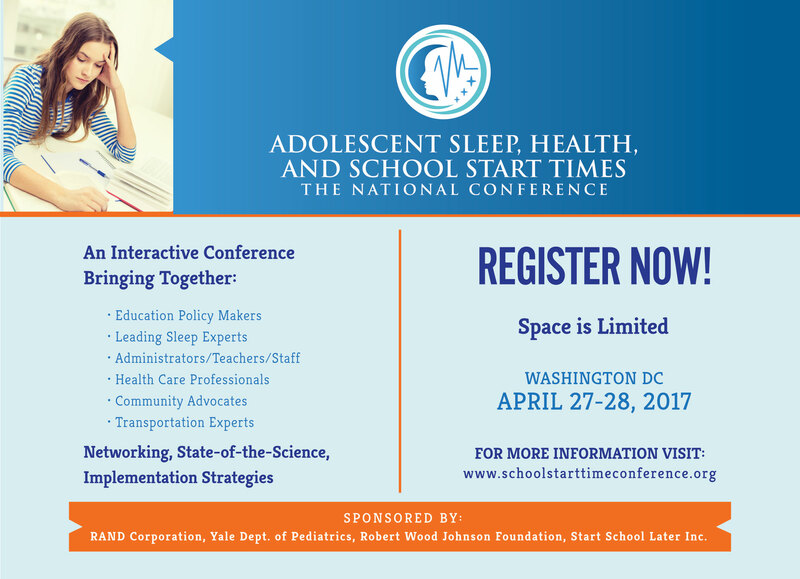 The first-ever national conference on teen sleep and later school start times will be held April 27-28, 2017, in Washington, DC. More than 20 internationally-recognized sleep researchers and school district leaders from around the U.S. will share their knowledge and first-hand experiences related to implementing healthy school start times during this interactive conference. Insufficient sleep is a public health epidemic among American teens, and is known to increase risk for motor vehicle crashes, as well as mental health and substance use problems. Find out why early school start times directly contribute to the epidemic of teen sleep loss and how school districts have successfully navigated this change in their communities. 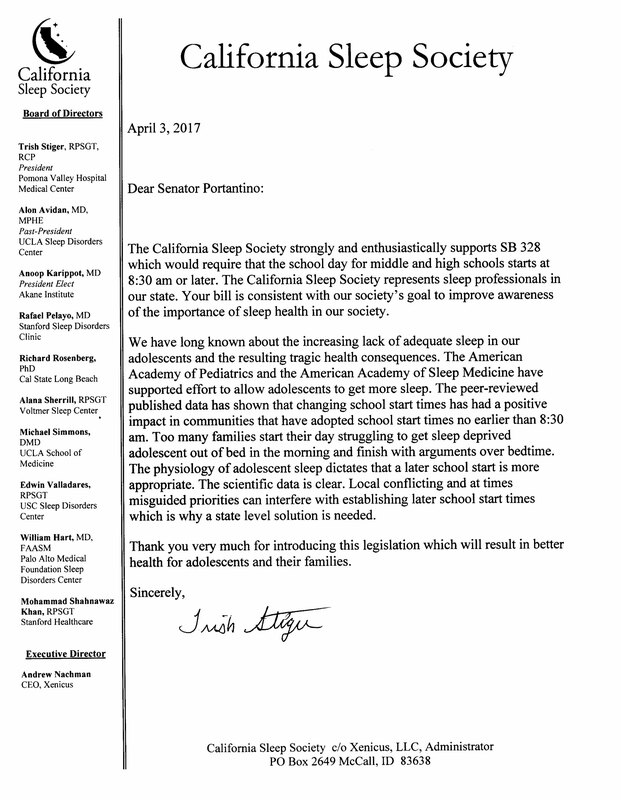 This Bill would require California school districts to start the middle and high school day no earlier than 8:30am. On April 19th, CSS Board Member Dr. Rafael Pelayo will be testifying in support of this measure. Dr. Pelayo will also be a speaker at the National Conference April 27 – 28, 2017 (see above for conference details). Sleep Health MD is a comprehensive sleep center with a focus on high quality patient care based in beautiful Santa Cruz, CA. We have 14 beds in 3 locations in the Santa Cruz and Bay Area and are growing. We are looking for an experienced Lab Manager to oversee the 3 labs and maintain AASM accreditation standards. The Sleep Lab manager will work along side the Office and DME managers to ensure high quality patient care across all areas of the organization.